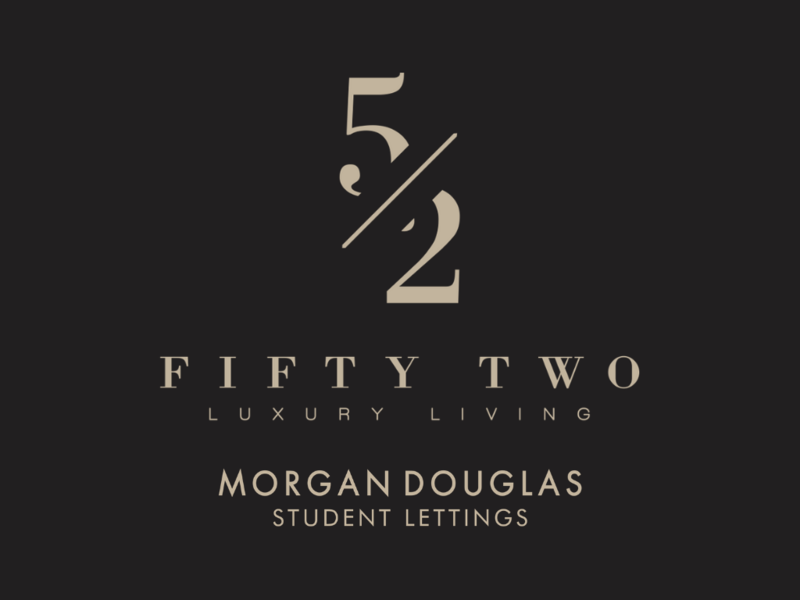 Follow in the footsteps of The Queen in this highly acclaimed luxury development. 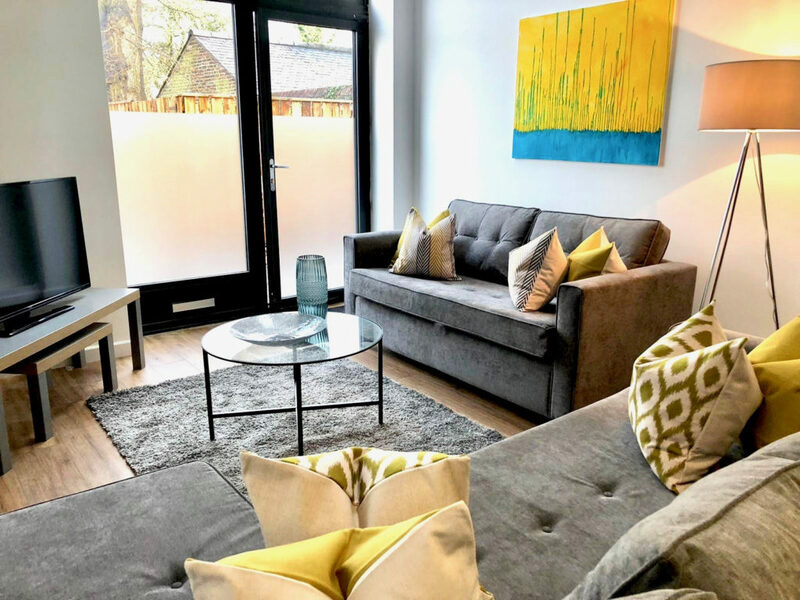 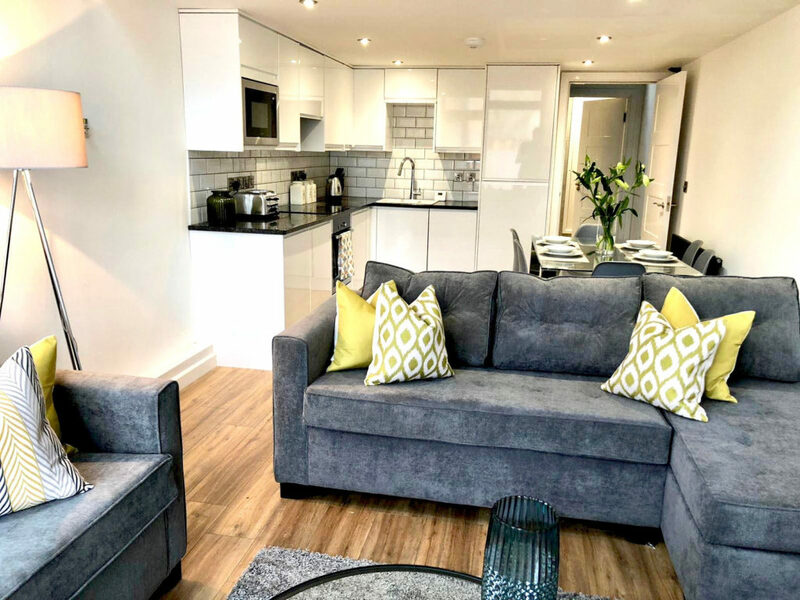 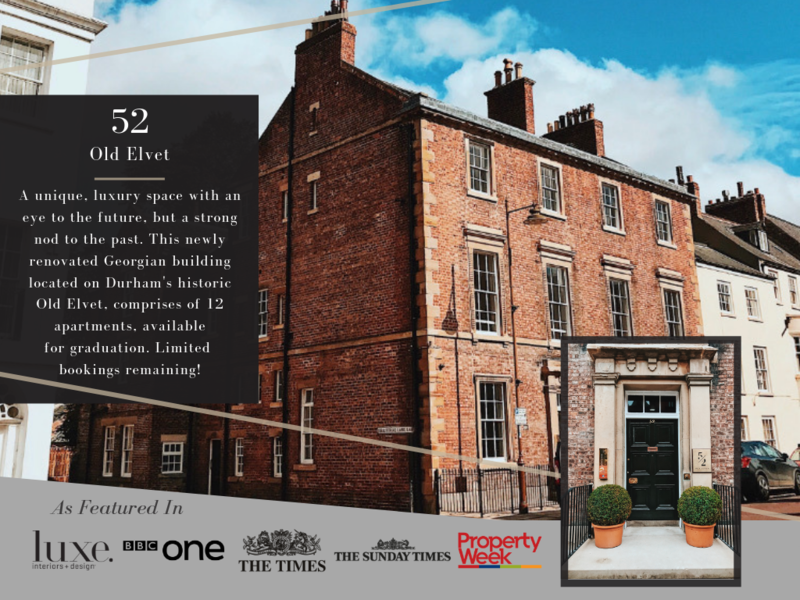 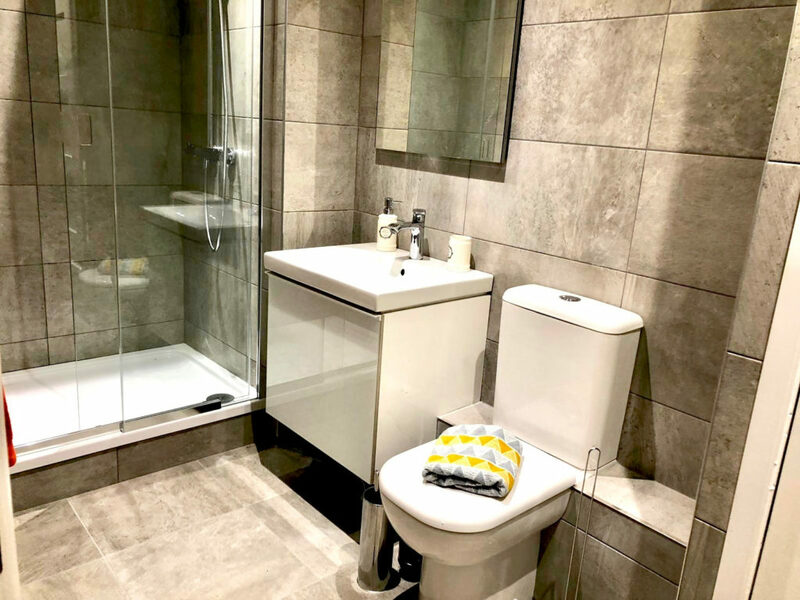 Featured nationwide across the screens of BBC One, to the pages of Property Week and The Times, 52 Old Elvet has a magnificent 300 year old history in the heart of the city, and the perfect luxury location for enjoying your University years (or, a level of premium living). 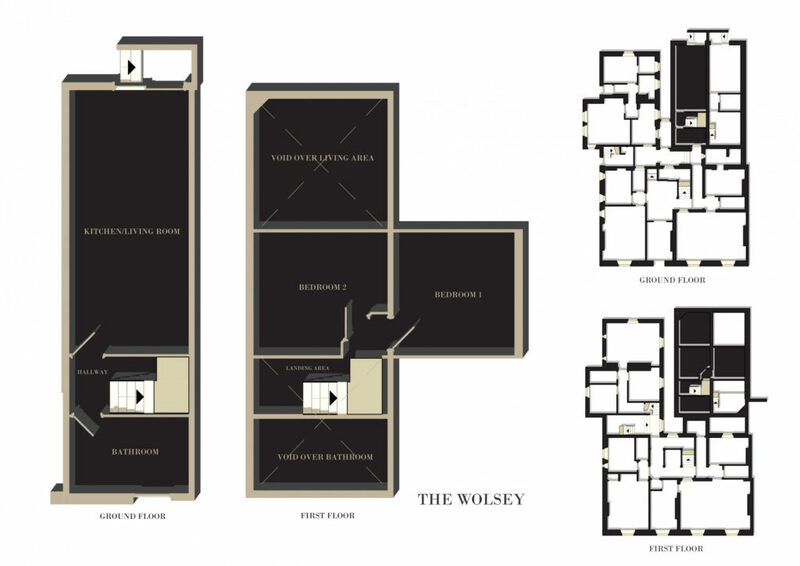 The Wolsey which has two bedrooms with a delightful, wrap-around staircase leading to the upper floor. 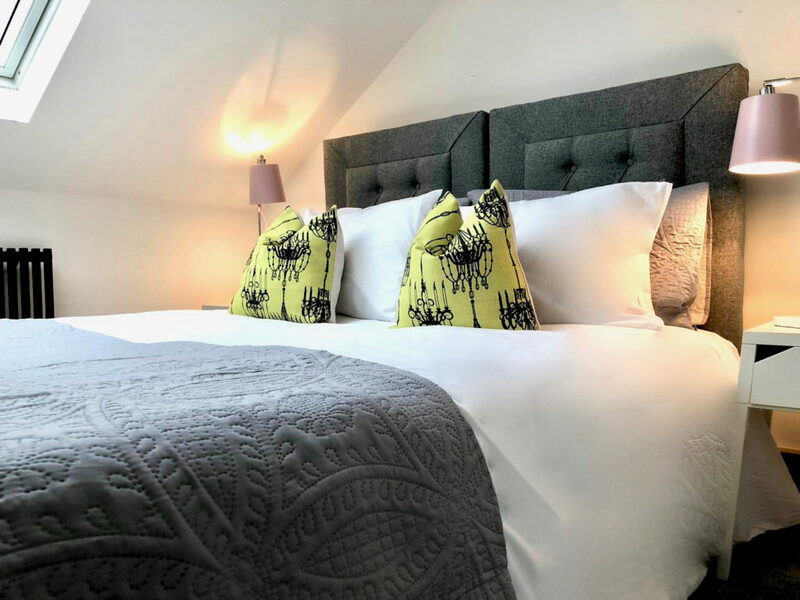 Throughout the 19th century, when Queen Victoria was on the throne and Durham’s coalfields put the North East at the forefront of the Industrial Revolution, some of the county’s most prominent figures would meet here, at 52 Old Elvet. 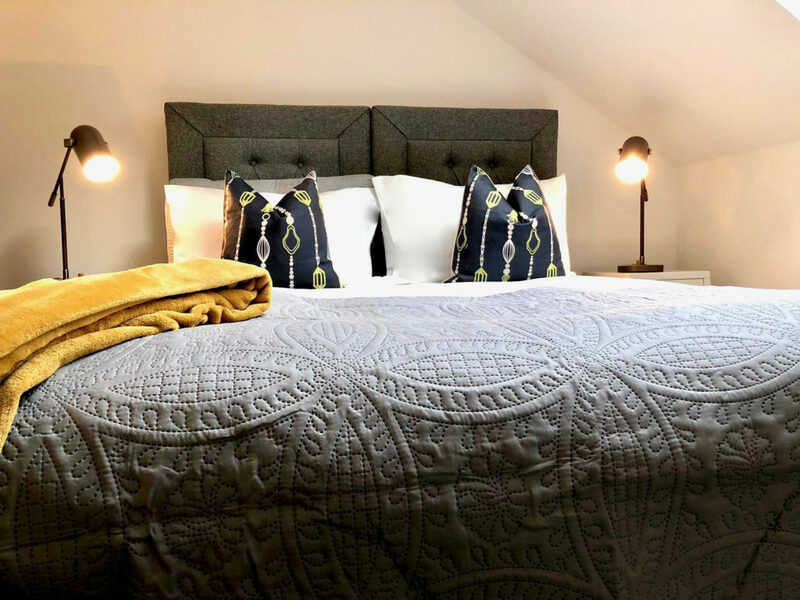 Here deals were made, royalty was entertained and, when dinner was over, cigars smoked, and port poured, they would retire to a purposely-built billiard room to the rear of the building. 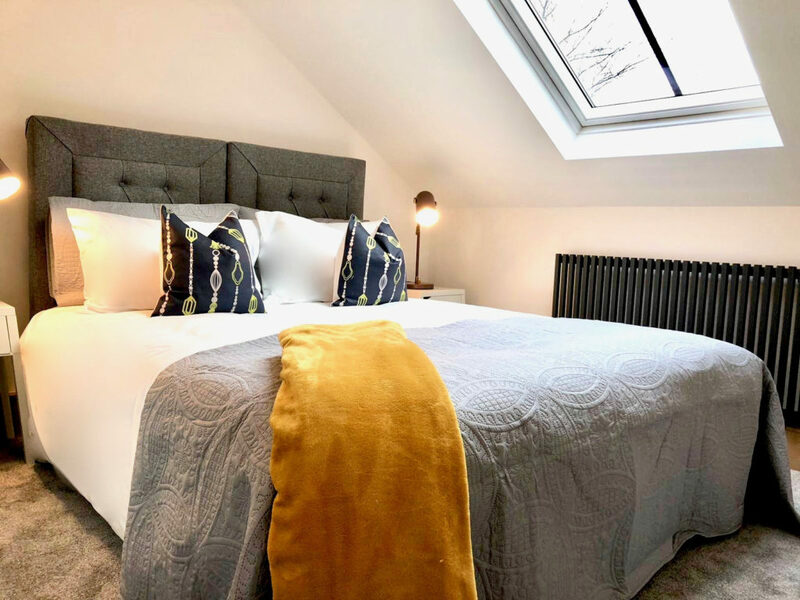 Designed by Charles Hodgson Fowler – also architect to the Dean and Chapter of Durham – this vast, vaulted room, whose glass panelled roof is supported by polished timbers in the Art Nouveau style, has now been beautifully converted into two, highly contemporary, split-level apartments. 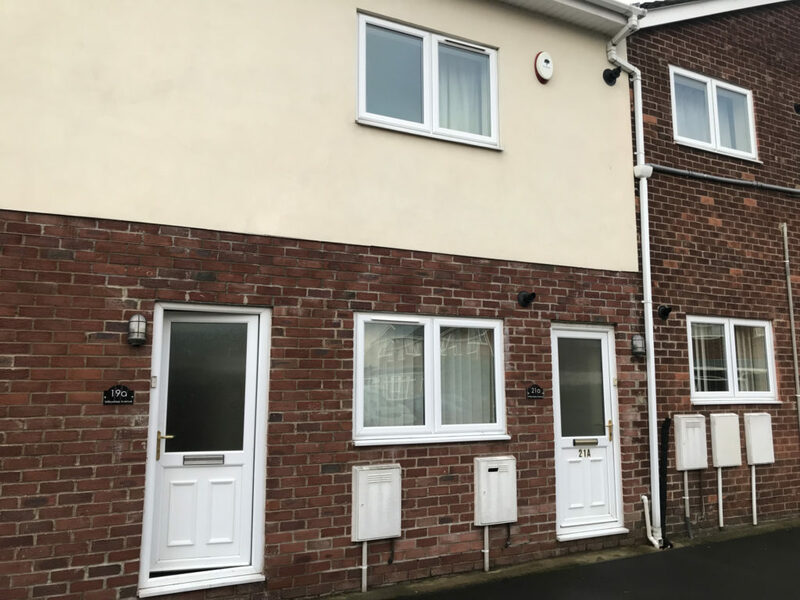 Both entered from the rear of the building, they are noticeably more modern. 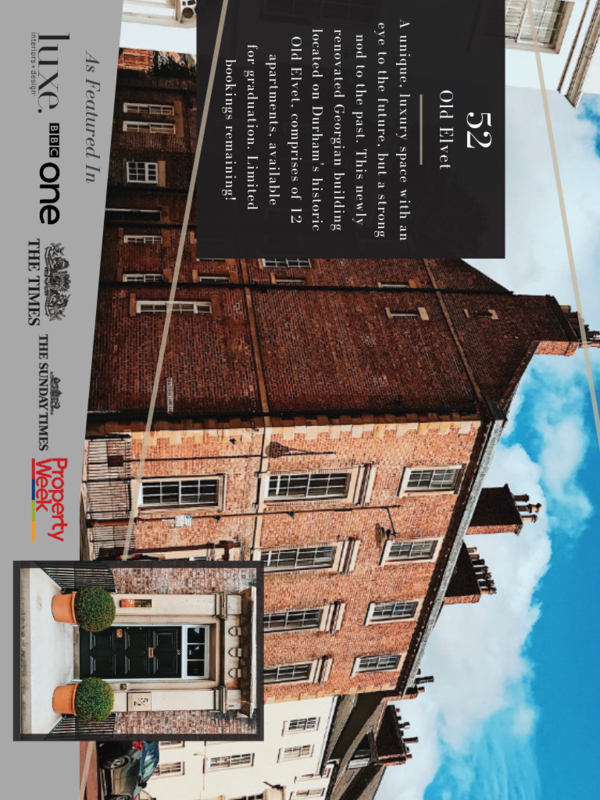 **THE FORDHAM** The MAJESTIC Sunday Times Property of The Week, made famous for once hosting Her Majesty Queen Elizabeth II…… we present. 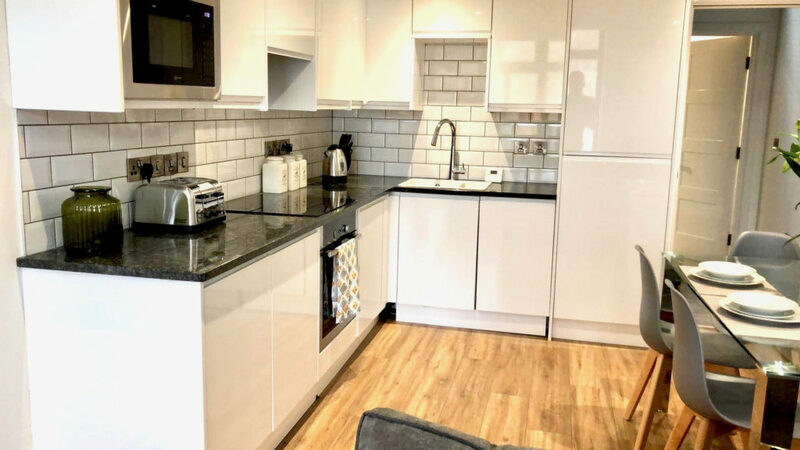 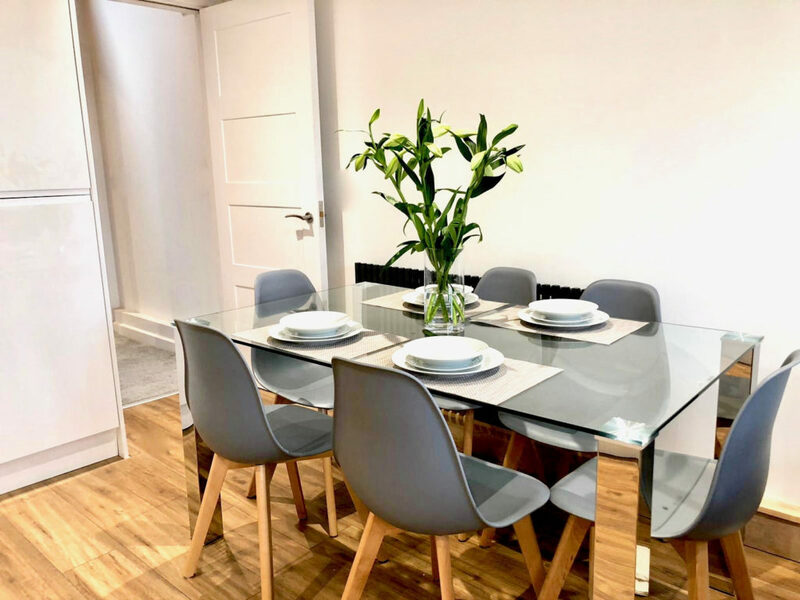 **AVAILABLE IMMEDIATELY** Morgan Douglas are delighted to offer this wonderful 2 bedroom apartment on Willow Tree Avenue. 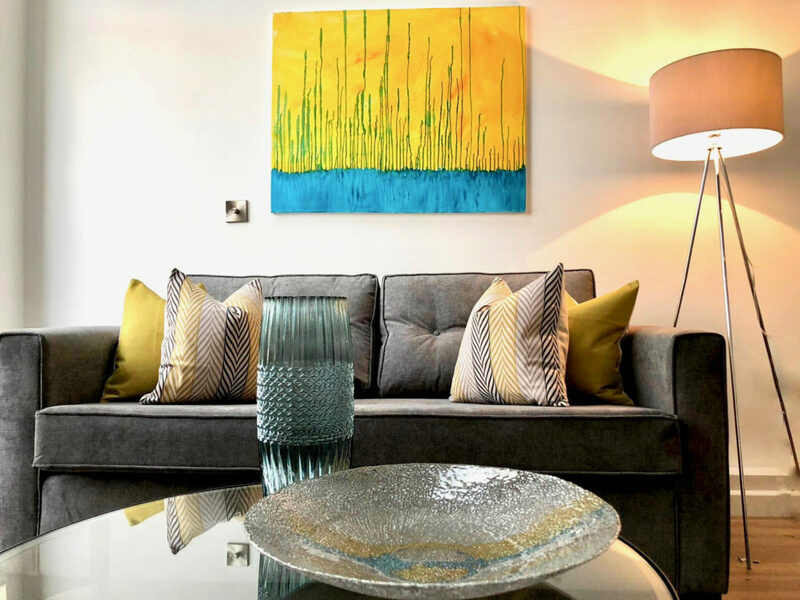 **THE MONTAGUE** The MAJESTIC Sunday Times Property of The Week, made famous for once hosting Her Majesty Queen Elizabeth II…… we present.